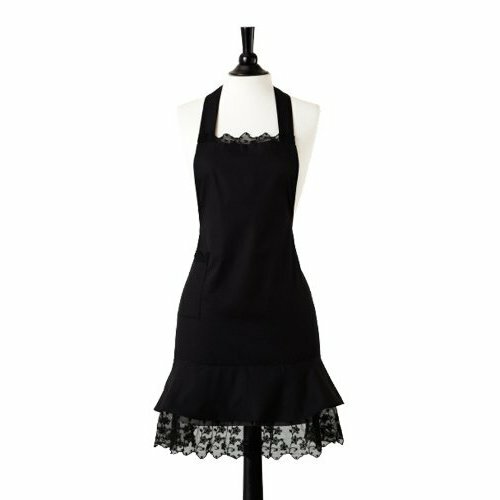 Cookies 'n Cardio: Cooking Can Be Tres Chic! ...just ask my friend Chris! 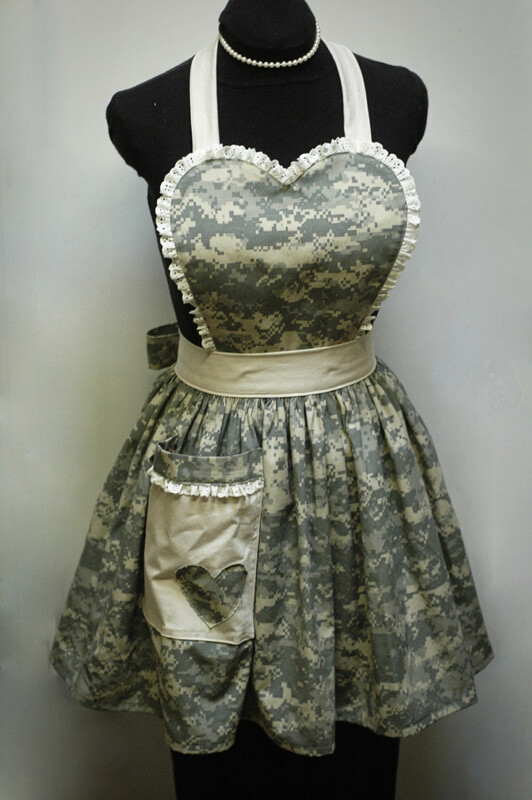 He's not afraid to borrow a lady friend's apron while working his magic in the kitchen. I'm no trailblazer when it comes to fashion, but I do enjoy reading fashion blogs here and there... and The Devil Wears Prada is one of my favorite rom-coms ;) Here's the thing friends... no matter what your style is: preppy, hipster, retro, sporty, soccer mom... there's no reason to let your fashion conscience take a nap while you're whipping up an evening meal for you and your beau (or cupcakes for your 1st grader's bake sale.) 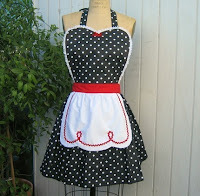 So ladies, in the kitchen... your apron might as well be that little black dress that you always go back to. Sure you could go with the boring chef's style apron from Williams-Sonoma, but by choosing a red apron over a plain white one doesn't exactly mean your kicking up your culinary heels my friend. 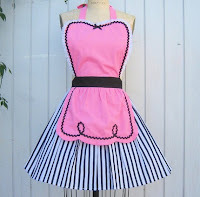 Between etsy.com and the fabulous, chic designer aprons by Jessie Steele, surely you'll find one that fits your own personal style. 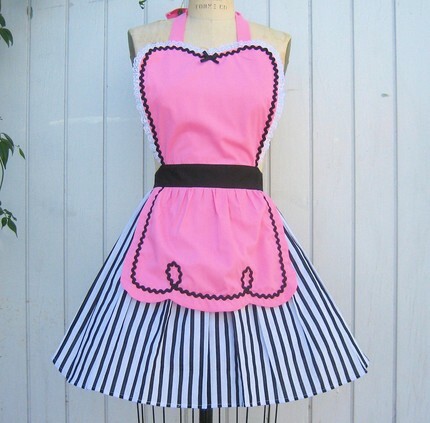 A fashionable apron can cost you anywhere from $18 - $35. You may be thinking "Oh my word! 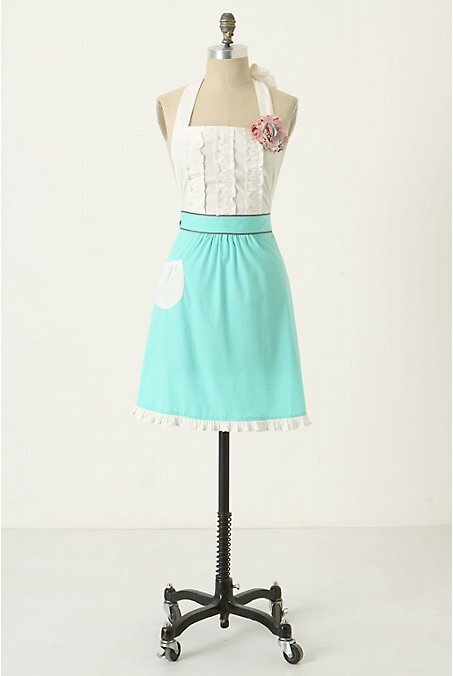 $35 for an apron! Puh-lease! 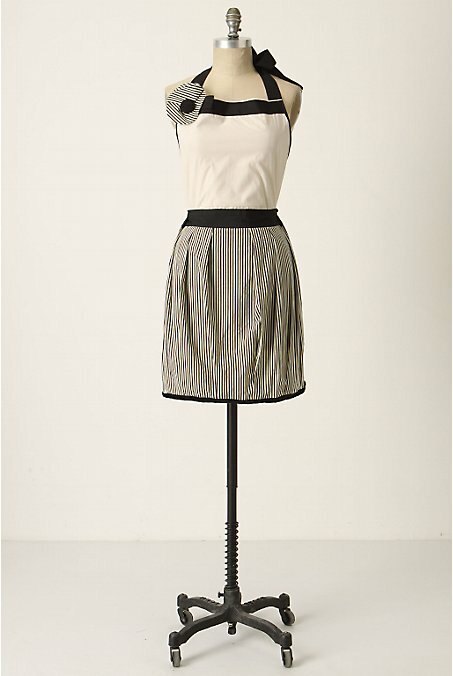 I'd rather buy super-fabulous-item-of-clothing-from-your-favorite-super-fabulous-clothing -store." 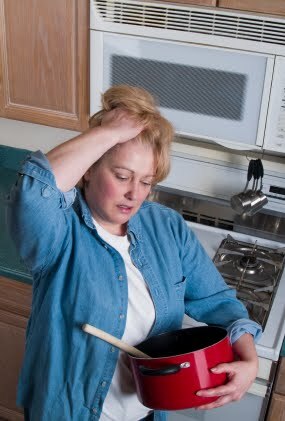 ...the idea of cooking dinner makes me feel like this! ...would make me feel like this! So... 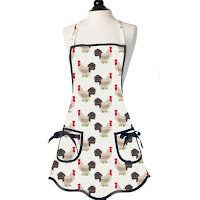 I throw on my fabulously adorable apron and whip up something healthy, FAST, and more affordable that $20 worth of beef lo mein and steamed dumplings. 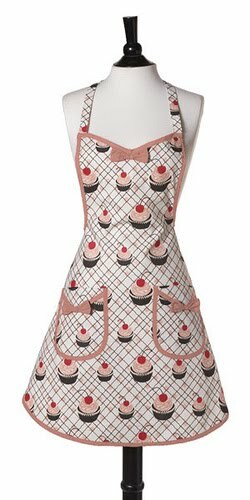 I struggled with which apron to purchase while looking at all the fabulous choices available, I narrowed it down to these two beauties... 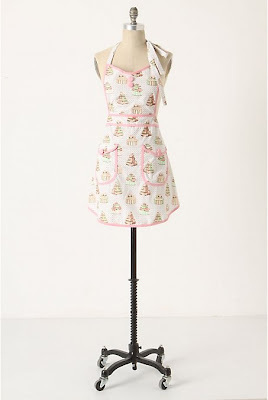 I think the fact that I want to own my own bake shoppe someday is why I made my final choice. 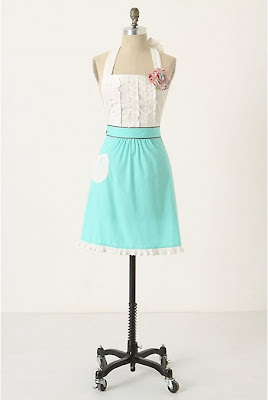 However, my second place apron has already been added to my Christmas wish list... just an FYI. My FABULOUS apron - $32 - ain't she cute, yall? 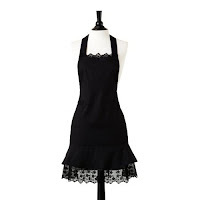 The Runner-Up $32 - I love it! So cute... especially that little flower! 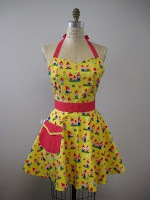 So ladies, all I'm saying is... invest in a fabulous apron. 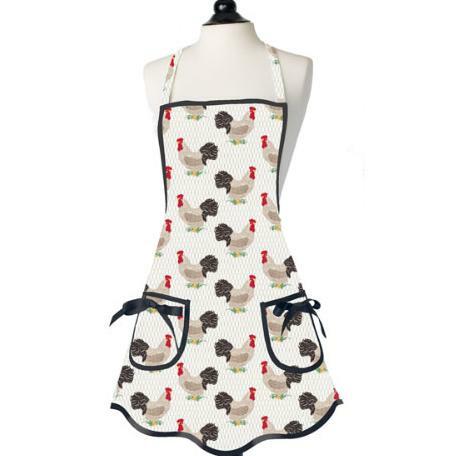 Let's face it, you don't want the turkey to be better dressed than you when Thanksgiving comes around this year. Really....you should write a newspaper column or a monthly magazine column (paid, of course). Aside from one or two grammar "issues", your content and style is fabulous! It's fun to read, and informative.